WASHINGTON — Senate lawmakers quietly advanced two major Veterans Affairs reform bills on Tuesday night, sending a funding fix for the Choice program to the White House and queuing up a benefits claim appeals reform package to become law later this year. Both measures were passed by voice vote in the waning hours of the Senate’s session, as lawmakers look to leave town for an extended legislative recess. Administration officials have signaled that President Donald Trump will sign both into law. The moves were praised by Republicans and Democrats alike, obscuring the complicated and sometimes divisive path both measures have undergone in recent months. Congress has been facing a mid-August deadline to pass the Choice funding fix, after VA officials warned earlier this summer the health care program would run out of money before the end of the summer. The Choice program has proven controversial in recent years, with arguments over how to administer and fund initiatives that allow some veterans to seek private medical care at taxpayers expense. The compromise package, passed unanimously by the House just hours before they recessed last week, provides $3.9 billion in emergency spending to keep the Choice program operating for six months while also funding 28 new medical leases and hundreds of new health care specialist hires within VA.
A coalition of veterans groups and Democrats had objected to earlier plans which only funded the Choice program, arguing that lawmakers needed to invest in VA infrastructure along with the outside care opportunities. That measure could arrive on Trump’s desk by the end of the week. The appeals reform legislation will head back to the House first, after Senate officials made minor changes to the legislation. House lawmakers had advanced the measure, and have been awaiting resolution on the issue for months while health care fights have dominated business in the upper chamber. 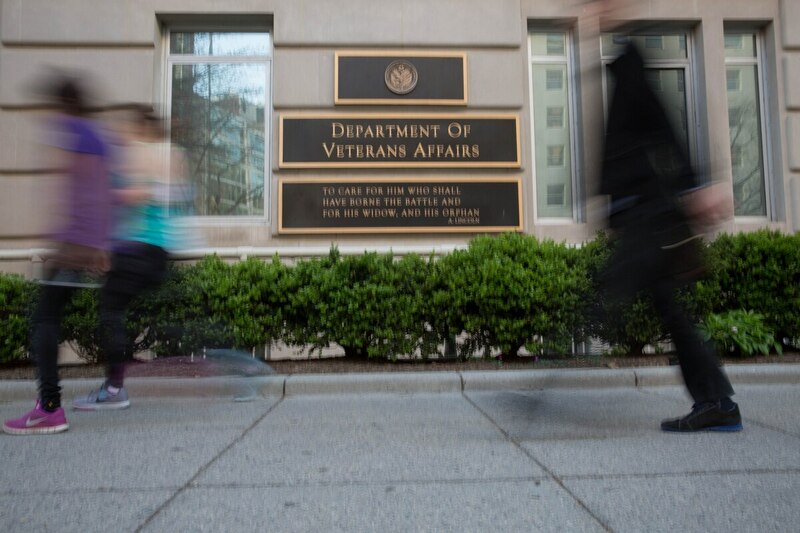 VA officials have asked for major changes to the benefits appeals process for more than a year, but have only seen legislative progress in the last few months. Under the plan passed Tuesday night, veterans would have new options on how to appeal benefits decisions they think are too low or missed critical health evidence. In some cases, individuals would give up the opportunity to submit new evidence or demand official hearings in favor of quicker resolutions. In others, they’d retain those rights, but face more reasonable timelines for submissions and decisions. The average wait for an appeals decision today tops five years. Nearly 500,000 appeals cases are currently pending in the VA system, a number that lawmakers have called appallingly high. Sen. Johnny Isakson, R-Ga., chairman of the Senate Veterans’ Affairs Committee, praised Tuesday’s move as a positive step for veterans. That won’t happen until House lawmakers return from their summer break, which lasts until September.